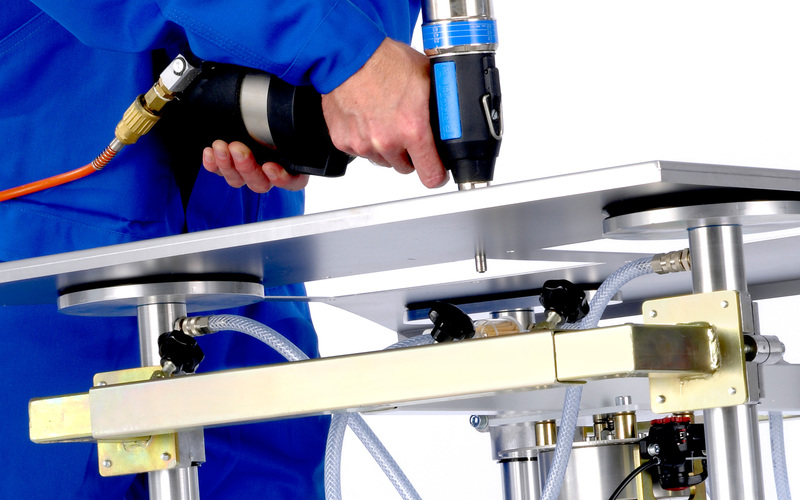 Flexible vacuum clamping systems for quick and safe handling of workpieces which are sleek and airtight. Universal vacuum clamping systems for quick and safe handling of small and medium-sized workpieces without laborious reclamping. Unique door handling system to process, store and transport heavy doors easily. Mobility in the entire shop. 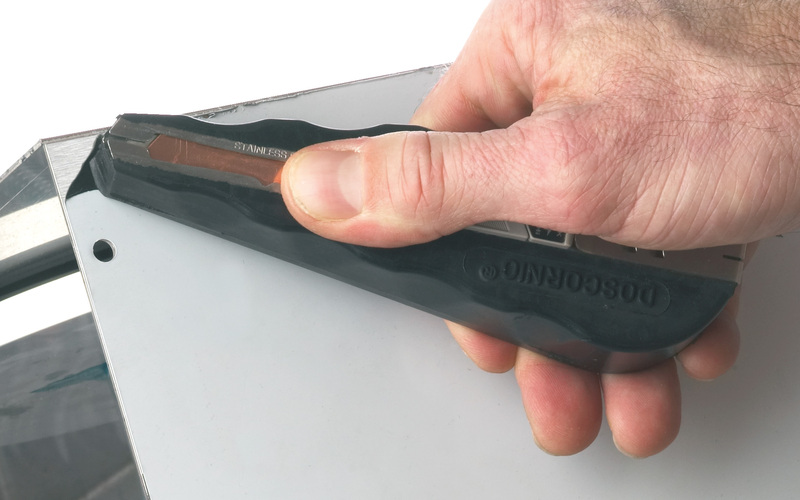 Fastest way to detach protection foil from metal and plexiglass surfaces – this is possible due to our unique, patented special rubber formula. 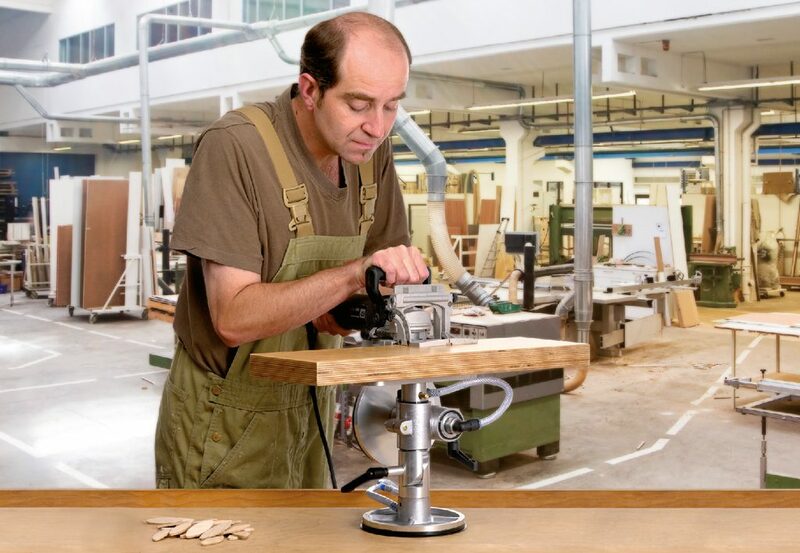 DOSCORNIO® systems rationalize the workflows in wood and metal processing. 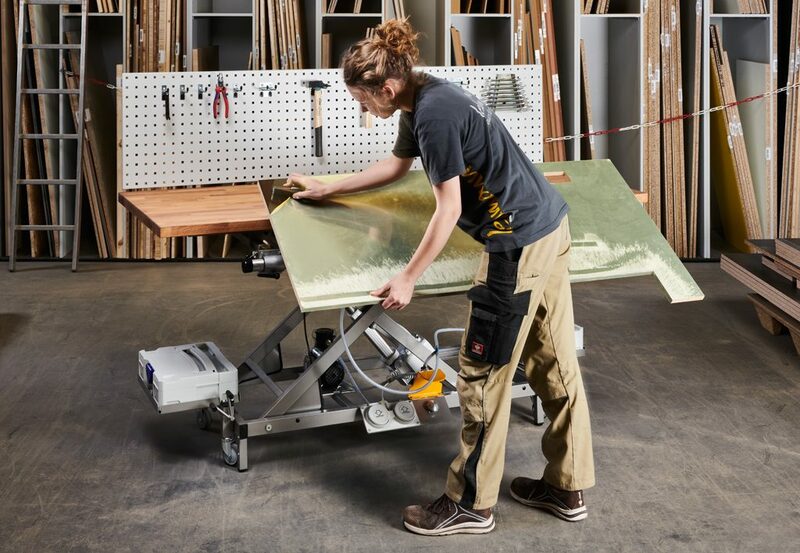 They enable a more precise and flexible work under optimal ergonomic conditions. By using high-quality aluminum components, our products are extremely robust and ideally suited for professional use. 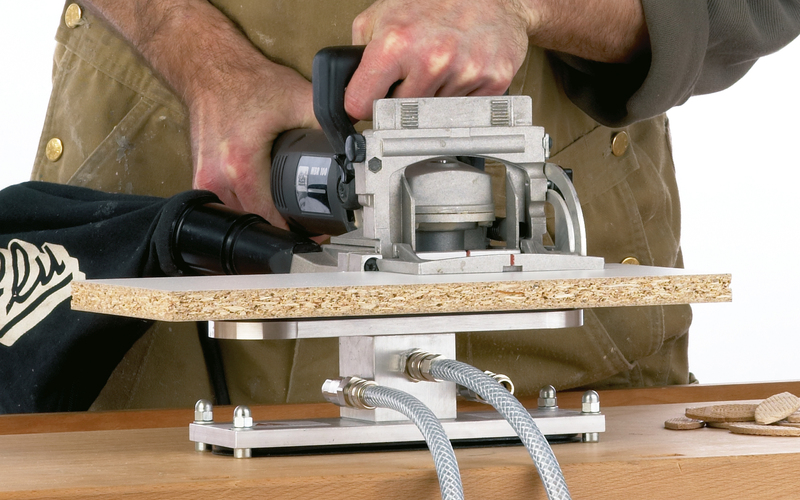 Due to our comfortable speed-vent system, workpieces with sensitive surfaces can be held inplace quickly and safely with the bankmaster® vacuum clamping systems. 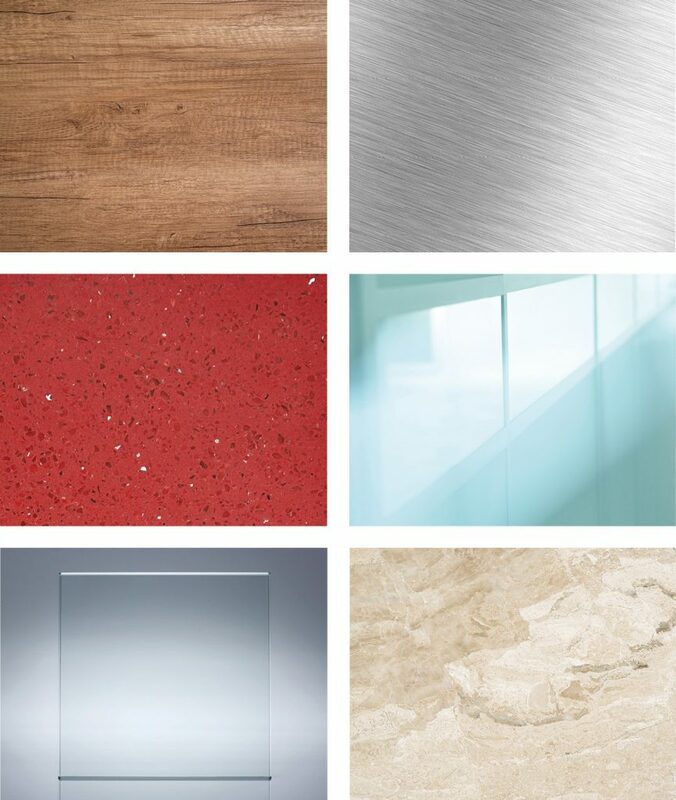 Our systems are suitable for a variety of materials. * If the floor is not vacuum tight, please contact us for individual solutions. 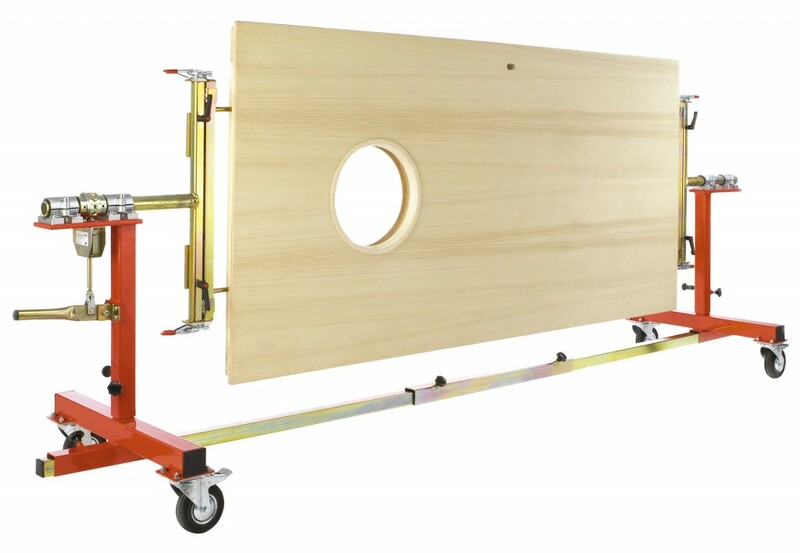 The doormaster® door handling systems facilitate all process steps in the production of heavy doors. Whether 360° rotation, handling in suspension rails, intermediate or transports to and at construction side: doormaster® offers an efficient way to handle your doors. 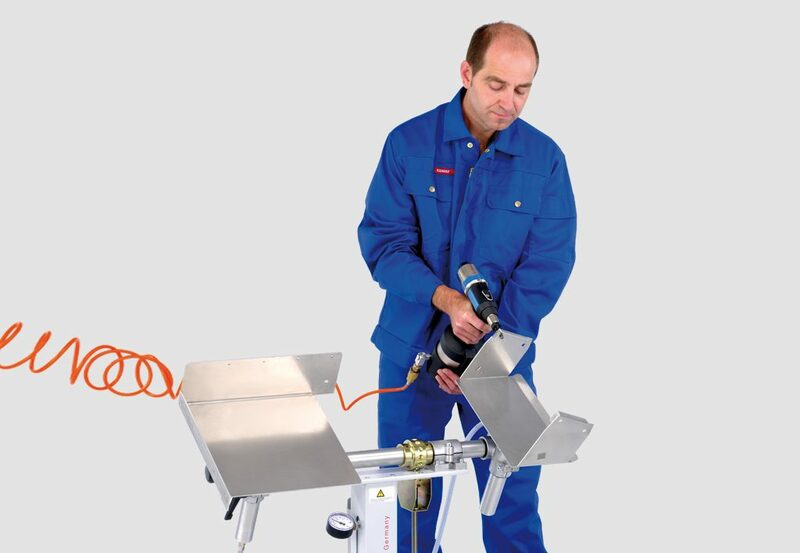 PULLWORKER® is suitable for all sheet metal, wood workpieces and plexiglass furnished with protective foil. 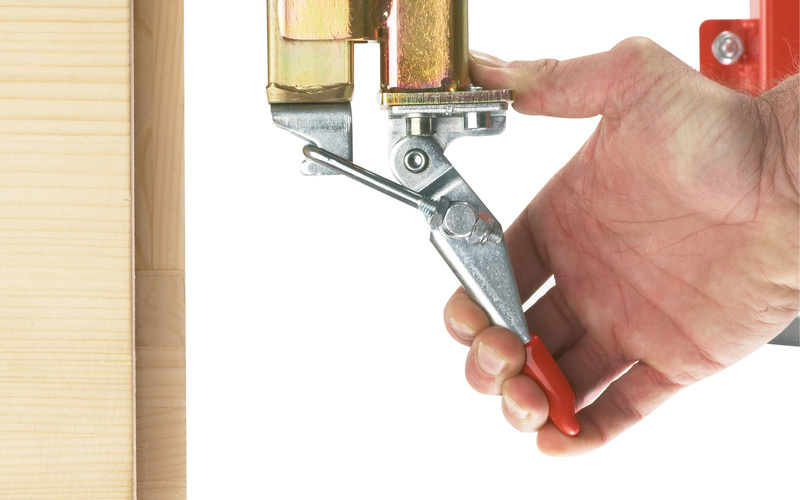 The integrated copper blade cuts the foil on metal for an accurate detachment*.